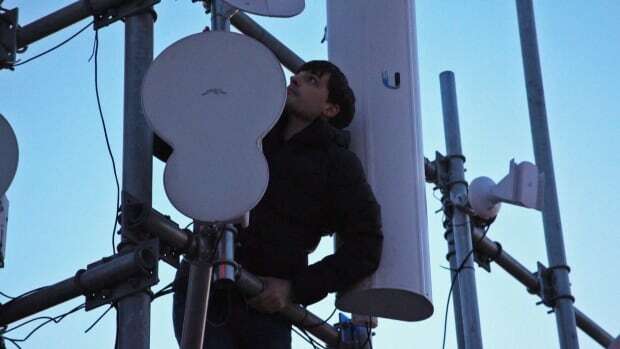 The volunteer community group NYC Mesh is working to bring affordable internet with lightning-quick downloads to New York, one building at a time. It is possible to connect directly to other people on the mesh without using the internet. If for some reason the internet is shut down by a fascist dictator, the mesh will still work. Internet shutdowns are becoming increasingly common in the world. The mesh has small web servers that show local information and allow you to chat and post messages. So far we have servers in five locations- Harlem, Bay Ridge, 3rd St. and 7th St. in the East Village, and our main directory “wiki.mesh” in Williamsburg. We are in need of volunteers to help add content and maintain our servers. Ogon started chatting with them. Very interesting. Joined in and we might try and link up with them.